James Dashner is the Author of the #1 New York Times bestselling MAZE RUNNER series: The MAZE RUNNER, The Scorch Trials, The Death Cure, and The Kill Order, as well as The Eye of Minds and The Rule of Thoughts, the first two books in the Mortality Doctrine series. Dashner was born and raised in Georgia, but lives and writes in the Rocky Mountains. To learn more about James and his books, visit JamesDashner.com, follow @JamesDashner on Twitter, and find DashnerJames on Instagram.From the Hardcover edition. Displaying results 1-11 of 11 titles for "James Dashner"
James Dashner presents & signs Maze Runner! Outside the walls of “The Glade” lies an ever-changing maze. No one has ever made it out alive, and those who inhabit The Glade don’t even know how they got there. When Thomas wakes up within these walls, he has no memory of how he got in this situation or what took place before. He’s surrounded by other boys his age who all suffer from the same circumstance. Then, a girl arrives. The first to ever end up in The Glade, and the news she carries with her is nothing short of terrifying. The inhabitants of The Glade must now decide their own fate: Stay put, or encounter the maze. Read this thrilling tale before the movie comes out this Fall! In addition to presenting & signing the MAZE RUNNER, James will also be presenting Inside the MAZE RUNNER. Those wishing to get books signed will be asked to purchase at least one copy of the author's books from Vroman's. For each purchased copy of the newest title, customers may bring up to three copies from home to be signed. This policy applies to all Vroman's Bookstore events unless otherwise noted. Save your Vroman's receipt; it will be checked when you enter the signing line. YOU MUST GET TICKETS FOR THIS EVENT!! - You will be able to meet James Dashner, Gordon Korman, Jude Watson, and Brandon Mull. Rick Riordan will be on stage for the presentation only. - You are allowed to bring one outside book into the event with you (one outside book per person), the rest of the books, if you wish to have signed, will have to be purchased either at Water Street Bookstore before the event or at CMS during the event. Please only 39 Clue, Spirit Animal, and Infinity Ring books. - Rick Riordan’s first 39 Clue book will be signed by him and available for sale at the event. - We encourage you to dress up as your favorite character from one of the three series. - There will be many fun activities set up at the event so we encourage that you come early so you can experience them all. The Eye of Minds Book Signing with James Dashner Wednesday, November 20th @ 7:00 pm Delacorte Press, an imprint of Random House Children’s Books, is pleased to announce the October 8, 2013, publication of James Dashner’s The Eye of Minds, the first book in his new Mortality Doctrine series., Best known for his New York Times bestselling Maze Runner series, which has sold 2.4 million copies in all formats, Dashner has created another thrilling adventure for readers, this time entering into the world of gaming and what happens when the line between what is virtual and what is real becomes blurred. Supported by a major marketing and publicity campaign that began earlier this year and culminates in a 13-city national author tour, The Eye of Minds is poised to be one of the biggest book releases this fall. The Eye of Minds is the first book in The Mortality Doctrine, a series set in a world of hyperadvanced technology, cyberterrorists, and gaming beyond your wildest dreams . . . and your worst nightmares. Michael is a gamer. And like most gamers, he almost spends more time on the VirtNet than in the actual world. The VirtNet offers total mind and body immersion, and it’s addictive. Thanks to technology, anyone with enough money can experience fantasy worlds, risk their life without the chance of death, or just hang around with Virt-friends. And the more hacking skills you have, the more fun. Why bother following the rules when most of them are dumb, anyway? But some rules were made for a reason. Some technology is too dangerous to fool with. And recent reports claim that one gamer is going beyond what any gamer has done before: he’s holding players hostage inside the VirtNet. The effects are horrific—the hostages have all been declared brain-dead. Yet the gamer’s motives are a mystery. The government knows that to catch a hacker, you need a hacker. And they’ve been watching Michael. They want him on their team. But the risk is enormous. If he accepts their challenge, Michael will need to go off the VirtNet grid. There are back alleys and corners in the system human eyes have never seen and predators he can’t even fathom—and there’s the possibility that the line between game and reality will be blurred forever. One of the must-read authors for today’s generation of young readers, Dashner is the master of edge-of-your-seat thrillers that will keep people turning the pages until the very end. Blending fantasy and reality with horrifying results, The Eye of Minds is perfect for Dashner fans, gamers, reluctant readers, and anyone who loves a good action-packed novel. Dashner mania will continue to build with this latest release, and with the film adaptation of The Maze Runner, set for a February 2014 release from 20th Century Fox. All our in-store events are free and open to the public. There is parking available in the lot behind the store and in the surrounding neighborhood.Click here for parking information http://www.doylestownborough.net/visitors/parking. If you can't come to an event and still want an autographed copy of the book, you may purchase titles in advance either in the store, over the phone (215.230.7610), or through our website. James Dashner's book The 13th Reality, Vol. 1: Journal of Curious Letters was available from LibraryThing Early Reviewers. 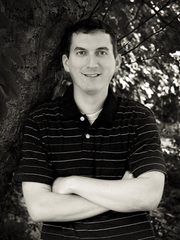 James Dashner is currently considered a "single author." If one or more works are by a distinct, homonymous authors, go ahead and split the author. James Dashner is composed of 4 names. You can examine and separate out names.